Round amazing looking desert things. You know pies. You love pies. But what’s the deal with eating pie? Reality is that some classic holiday pies like Pecan are well over a whopping 500 calories a serving. One way to not completely kill your diet is to have a smaller piece. 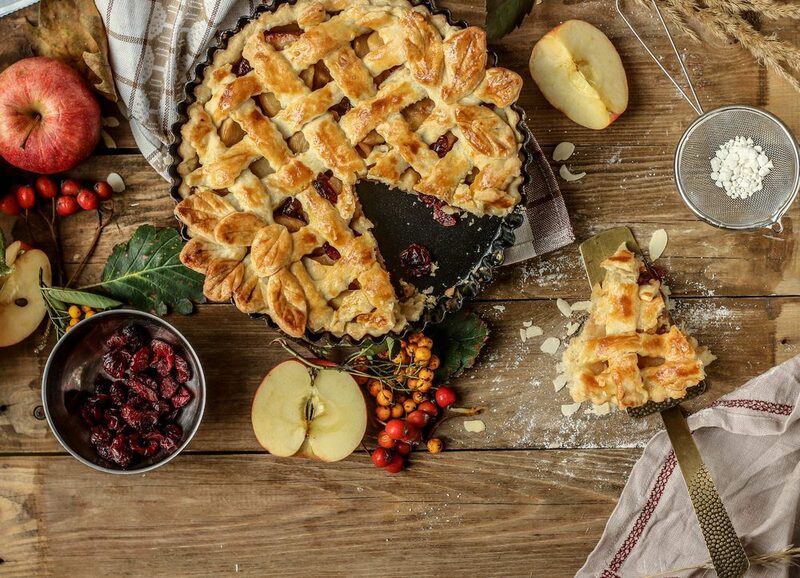 Another idea to cut the calorie hit is to pick a fruit pie instead. How Do Pies Stack UP? Pecan Pie is 541 calories per serving, 22g fat, 34g sugar What? Yes. Here is a tip about pumpkin pie for you. The crust is the big guilty part of this pie. If you have just the pumpkin filling of your slice, you are saving about 150 calories. One way to have a healthier pie is to use super-ripe fruit without a bunch of sugar added. Sometimes the produce aisle is not helpful for this, but you can try a mix of dry fruit and frozen fruit. Both of those options are healthier than canned fruit filling from the store. A healthy swap out when making your own crust is to use either olive oil or coconut oil. You can also use whole wheat flour instead of a white flour during your crust DIY. Any tipping of the cooking process towards the healthier side gives you room to enjoy without as many adverse effects on your health journey. You Are Here: Home » Blog » Are You in Pie Mode?